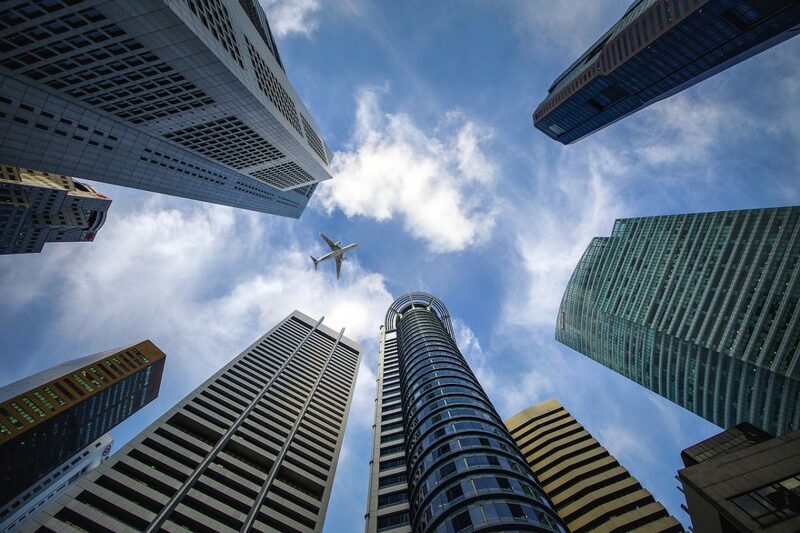 What’s in Store For Commercial Real Estate in 2019? With the new year already underway, here’s what’s in store for Australia and its commercial property investors. 2018 is behind us and what an eventful year it was for the world. Brexit loomed closer but remained (and remains) uncertain. Trump ended the year without his wall and with multiple government department closures. And we’ve seen China open their arms to Aussie businesses once again as their economy takes a hit from the US’s trade war. Closer to home, Australia has seen daily headlines on Sydney and Melbourne’s property slump, purpose-built to freak out property owners, Lithium has swollen as a likely resource to help our future economy, our banks are on APRA’s naughty list, and the Australian economy flexed its muscle for the 28th year running (yes, we’re referring to the record-breaking consecutive years of economic growth). If Labor wins May’s Federal election, Australian share owners are likely to wave goodbye to franking credits. This will be a sad farewell for many retirees and SMSF owners, who rely on franking credits to fund their pension. Meanwhile, the top 2018 super fund performers as shown by the AFR in January are producing annual returns of under 3 per cent – hardly a jaw-dropping feat. Share investors and members of Australian super funds might find a solution to their investment woes by placing commercial property in their SMSF investment strategy. Last year, we wrote an article in The West for savvy investors who’ve accepted SMSFs as a great investment vehicle. We outlined the set-up costs, planners fees and the expected banking charges, so admitted SMSF investors should mitigate costs by targeting investments with high returns, large potential for capital growth and significant tax advantages. This is where high yielding and high growth commercial property could be the shoe that fits SMSF investors. And should franking credits disappear and super fund returns remain low, it’ll be the case again in 2019. (You can read our full article from The West here: Commercial property investment an SMSF winner). It’s all happening in WA, with reforms seeing the west retrieve a much fairer share of GST, Gross State Product (GSP) expected to improve to a solid 2 per cent (and beyond) in the coming year, consumer confidence at a five-year high, the unemployment rate expected to drop to five per cent in the coming year(s) and population growth expected to defy gravity. Let’s not forget that WA mining is on the verge of a comeback. Some say it’ll be a minor tremor, some say it’ll compete against our last boom, but all signs are for our resources sector to bolster. Sure, Lithium is an exciting commodity to watch, but the goliaths of iron ore and coal remain our flagship exports. Rest assured, WA is still a counter-cyclical market. How can we tell? There’s a flight to quality – where tenants are chewing up cheap rents of high-quality premises – and investors are beginning to be seen on the right side of this ledger. Buying core assets will be the key for counter cyclical property investors. Are you watching RBA announcements? An interest rate hike. It’s expected, it’s likely and well… it’s inevitable. Whether we see an increase in the next six, 12 or 18 months, investors need to be prepared for the eventuality that our record-low interest rates will not be record-low forever. The most effective strategy to stay armed against a cash rate increase is to protect your capital. Find properties which will deliver on capital growth or allow value-add opportunities. Yields might suffer slightly by higher interest rates. But if you’re an investor, what you might lose in annual return, you’ll gain in the long-run. Don’t be left red-faced when the tide finally does go out. Kenneth Haynes has given his final report into Australia’s banking, super and financing services, and the impact is more of a slow burn for Aussie institutions. Firstly, most institutions have already found a balm for the pain, by applying recommendations handed down from the commission in 2018. So, we shouldn’t see much more tightening to lending regulations. Secondly, a quarantine of misdemeanours might mean banks will be able to perform better, because their standards are pushed higher. Issues relating to conflicts of interest, corporate governance and internal controls have/will be dealt with, meaning a greater focus on servicing customers. And finally, the government’s reaction to the final report was not knee-jerk. It has avoided excessive regulation and interference in the financial service industry as a result of the findings, which would undoubtedly have been at the expense of bank customers. Australian banks didn’t have the greatest 2018. And sure, 2019 won’t exactly be sweet. But APRA has informed (WA at least) it won’t consider any further measures to clamp down on lending. QLD industrial is going gangbusters, more accurately. The industrial market has seen vacancy decrease by 16 per cent in the 12 months to July 2018. This stat is tremendous. Infrastructure developments have helped lead supply and QLD remains a very interesting market to watch as it’s experienced significant improvements in roads and tunnels in recent years. There’s a groundswell of activity taking place in certain areas of Australia. While Sydney and Melbourne have taken a hit (but not yet dead for investment), other capital cities are seeing green shoots emerge. It’s up to savvy investors to take advantage of them in 2019. For more information on how you can invest in Australian commercial property, contact Properties & Pathways today.